Weinberger said he was compelled to react to Trump’s tweets, including one that said the U.S. “has the absolute legal right” to transport migrants across the country. It’s unclear whether the U.S. Department of Homeland Security has taken any action to enforce Trump’s plan, the Associated Press reported Monday, but in case things move quickly, Weinberger said the Queen City is prepared. The mayor discussed the issue “at length” Monday morning with city officials and has contacted state and federal groups connected to immigration issues should the plan be enacted, he said. Weinberger said the city’s planning isn’t an overreaction despite the president’s well-known tendency to tweet policy statements that lack plausibility. Indeed, on April 7, Homeland Security Secretary Kirstjen Nielsen resigned, a move widely seen as a result of her refusal to enforce Trump’s more aggressive border policies. Days earlier, Trump withdrew a nominee to lead Immigration and Customs Enforcement, wanting “tougher” leadership, the New York Times reported. Weinberger has waded into the immigration debate before. In 2016, the city pushed back against Trump's efforts to “deputize our law enforcement officers” as border agents, Weinberger said, and in 2017, Burlington celebrated when a federal court ruled the U.S. Justice Department couldn’t revoke funding for cities that fail to enforce immigration directives. Olivia LaVecchia, communications coordinator for the Burlington mayor's office, said Monday that the city doesn’t have the $40,000 Edward Byrne Memorial Justice Assistance Grant in hand, but it has been cleared to receive it. Weinberger called this latest Trump tango “Round Three” on immigration and urged the president to break from his typical “disruptive and chaotic” leadership style. The mayor said Burlington is paying close attention to the White House, but so far, there’s no need to panic. He added that the Burlington area has welcomed more than 5,000 New Americans over the last 30 years, creating a stronger and more diverse community. 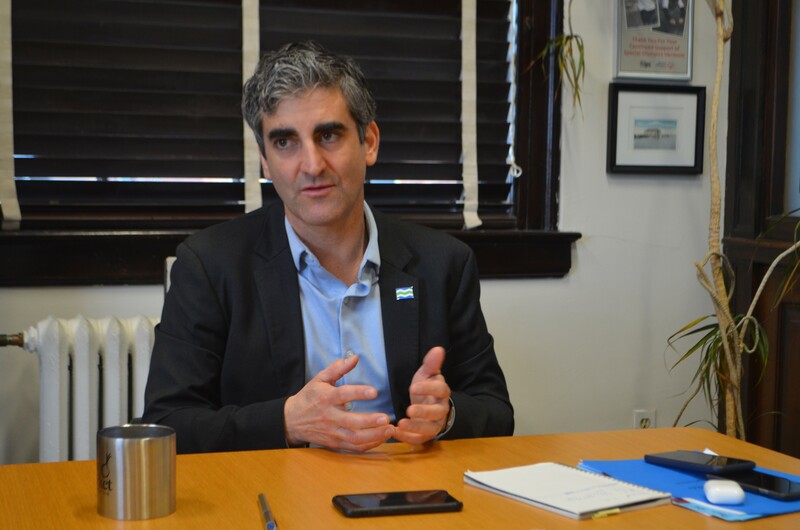 “For those that want to try to make a new life here as asylum-seekers, we will mobilize our local efforts ... to ensure that that is as welcoming and compassionate and seamless a process as possible,” Weinberger said. Two Against One: Is Weinberger Vulnerable in Burlington's Mayoral Race? Burlington could be designated a “sanctuary city” before president-elect Donald Trump even takes office. The City Council hopes to craft and present a resolution by the end of December, according to council President Jane Knodell. Courtney Lamdin is a Seven Days staff writer.